Thank you to all who serve and protect this great country, you are truly honorable! 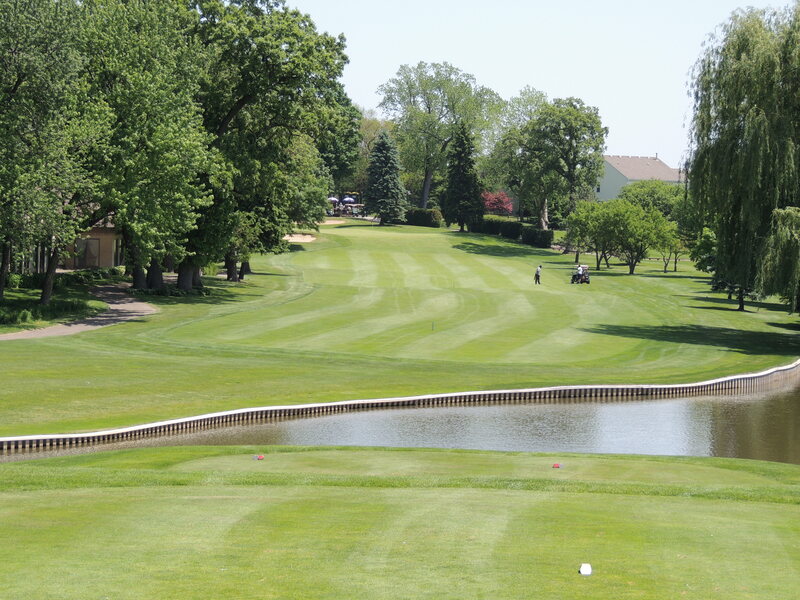 I’m sure it won’t be breaking news to say the golf course needs water…yes, the picture below shows a sprinkler running on the 17th hole at Hilldale. Unfortunately, Hilldale’s irrigation system has been running a lot the last couple weeks. Hopefully, if Tom Skilling’s latest forecast is accurate then it sounds like significant rainfall could hit the Chicago area by week’s end (Oh no, I just jinxed it didn’t I?). Well, even with a significant lack of rainfall lately, it sure beats the alternative of the wet/hot summers of 2010 and 11. The effect on business is obvious…but the primary turf areas also perform poorly when soil conditions are constantly saturated and overheated. Turfgrass roots need oxygen to thrive, and O2 is in short supply when soils are too wet. I have received several comments regarding “overly” hard greens recently. When setting up our nightly irrigation schedule at Hilldale, I try to keep the main playing surfaces on the firm side, just not to the point where greens won’t accept a good golf shot. 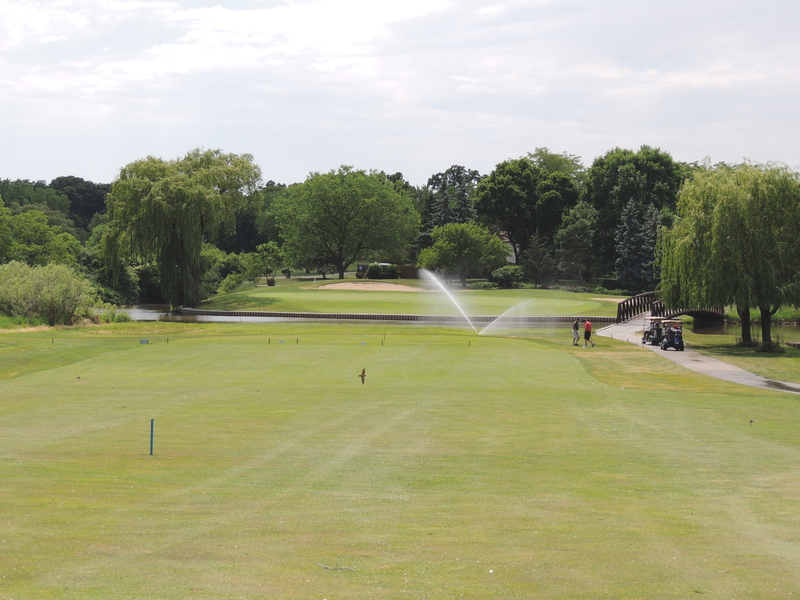 One last point about watering strategies…I do try to keep the greens on several of the more difficult holes (7, 10, 11, 17) slightly wetter than the other greens…especially 11 and 17 which are overly long holes with small/narrow greens. Thanks very much to all who played Hilldale this holiday weekend. We appreciate your business and look forward to seeing you on the course again. This entry was posted on Tuesday, May 29th, 2012 at 1:35 am and is filed under Uncategorized. You can follow any responses to this entry through the RSS 2.0 feed. You can leave a response, or trackback from your own site.